The blastema and epimorphic regeneration in mammals. Title The blastema and epimorphic regeneration in mammals. Studying regeneration in animals where and when it occurs is inherently interesting and a challenging research topic within developmental biology. Historically, vertebrate regeneration has been investigated in animals that display enhanced regenerative abilities and we have learned much from studying organ regeneration in amphibians and fish. 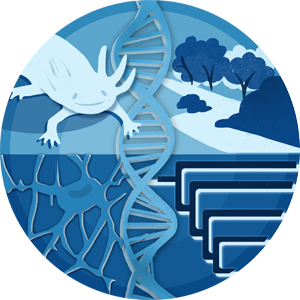 From an applied perspective, while regeneration biologists will undoubtedly continue to study poikilothermic animals (i.e., amphibians and fish), studies focused on homeotherms (i.e., mammals and birds) are also necessary to advance regeneration biology. Emerging mammalian models of epimorphic regeneration are poised to help link regenerative biology and regenerative medicine. The regenerating rodent digit tip, which parallels human fingertip regeneration, and the regeneration of large circular defects through the ear pinna in spiny mice and rabbits, provide tractable, experimental systems where complex tissue structures are regrown through blastema formation and morphogenesis. Using these models as examples, we detail similarities and differences between the mammalian blastema and its classical counterpart to arrive at a broad working definition of a vertebrate regeneration blastema. This comparison leads us to conclude that regenerative failure is not related to the availability of regeneration-competent progenitor cells, but is most likely a function of the cellular response to the microenvironment that forms following traumatic injury. Recent studies demonstrating that targeted modification of this microenvironment can restrict or enhance regenerative capabilities in mammals helps provide a roadmap for eventually pushing the limits of human regeneration.